MakeShot is a free screen capture tool to capture desktop screen. It comes with built-in screenshot editor to enhance screenshot and save to PC. Moreover, it also provides facility to automatically upload captured screenshot online on makeshot.net. You can capture the whole desktop screen or only a specific area and can save screenshot either in png, jpg, or in gif format. MakeShot is a bit different than most of the other screen capture software because it provides built-in image editor and facility to upload screenshots or other images online. It is quite useful and simple to use screen capture tool that is completely free to use for everyone. In above screenshot, you can see screenshot editor of MakeShot where you can enhance captured screenshot and can save to PC. How To Use This Screen Capture Tool? It also support hotkeys to capture the whole desktop screen or only a specific area of PC. Default hotkeys are PrintScreen (to capture full screen) and F9 (to capture screen area). You can customize these hotkeys by accessing Settings of MakeShot. When you will take screenshot, immediately it will open with build-in screenshot editor, thus you won’t need any other image editor software to edit captured screenshot. 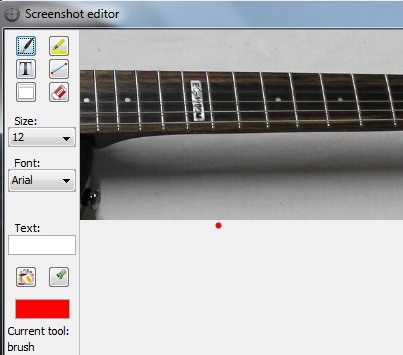 Screenshot editor provide basic tools to edit and enhance screenshot such as: brush, highlighter, text tool to insert text, eraser, and line tool. Use them accordingly. Be careful while editing screenshot as you cannot perform undo action. But eraser tool is available to correct mistakes. Edit screenshot and once you are satisfied with the changes, hit OK button. 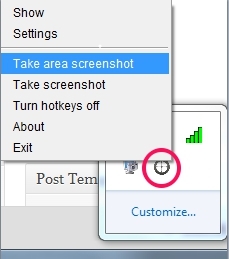 Your screenshot will be saved automatically to default destination location and will upload online as well. You will also get URL of uploaded screenshot which you can share with friends. 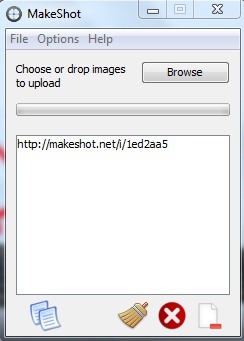 Open main interface of MakeShot to get URL of uploaded screenshot or to upload images from PC to makeshot.net. If you want to change the destination location, hotkeys, enable/disable automatic online uploading of captured screenshot, and output format of saving screenshot, then access Settings window. Similar software: Hyperdesktop, Hotshots, EzSnap, and Monosnap. It is a useful screen capture tool that also lets you edit screenshots with built-in screenshot editor. You can save screenshot in jpg, png, or in gif format. Automatically uploads screenshot online. You can also upload images. You also have the freedom to delete screenshot from online service. It is lightweight and is less than 4 mb. 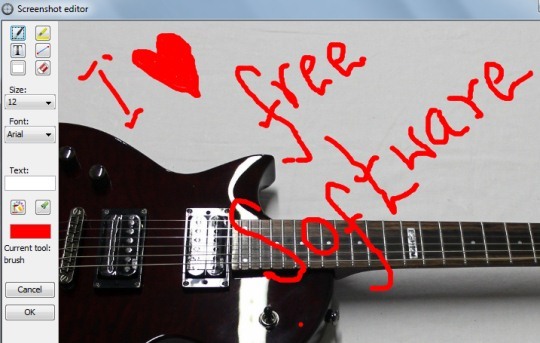 Completely free of cost available for Windows. MakeShot is a good screenshot capture tool that lets you take screenshots, edit them with built-in editor, save screenshots to pc, and upload screenshots or images online.